Home/Awards Season Discussion/How’d I Do on This Year’s Oscars? With this year’s Academy Awards ceremony behind us, it’s time to take a look at how I did on my predictions for the winners in this annual competition, as first outlined in my previous blog, “Who Will Win This Year’s Oscars?”, posted on February 23. This has become the most difficult category to call in recent years, largely because it’s been hard to discern the mind of the Academy voters. In years when it seems they’re going to play it safe, they go with something edgy and vice versa. 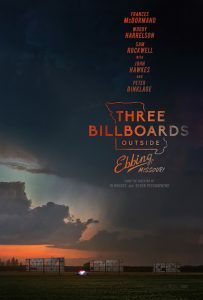 This year, given all of the recent game-changing upheavals in the movie industry, and based on the results of many of this year’s previous awards competitions, it seemed as though voters were in a scrappy mood, which accounts for the many prior wins by “Three Billboards Outside Ebbing, Missouri,” an outcome I believed would carry over into the Oscars. However, much to my surprise, on awards night, the statue went to “The Shape of Water,” a comparatively “safer” bet. Why? Perhaps Hollywood is ready to start putting the controversies of recent months behind it and get back to the business of making movies, and choosing this film as best picture was a way of starting that process. Not that I’m disappointed with the choice; after all, “The Shape of Water” was the No. 3 film on my list of 2017’s top 10. 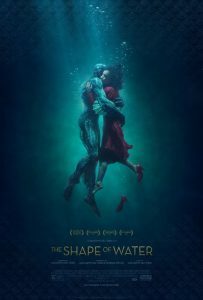 However, I’m a little surprised at the shift in voters’ tone, given the wins by “Three Billboards” at the Golden Globes and the BAFTA Awards, where it bested “The Shape of Water,” and at the Screen Actors Guild Awards for best acting ensemble (often a bellwether indicator of the best picture at the Oscars), where “The Shape of Water” wasn’t even nominated. To my own credit, ahem, I did say that “The Shape of Water” was probably the only picture that could seriously challenge “Three Billboards,” that it was part of a two-horse race for the top prize. So, given that this ended up being the case, I’ll gladly take a half-credit on this one (because I can!). Maybe I’ll get the mood of the voters right in future years. This was a no-brainer. 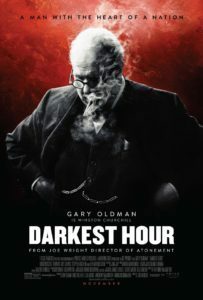 Oldman won virtually everything all season long, and there was no reason to believe that this would change on Oscar night. It’s a deserving award for a deserving performance, one that, in my opinion, left virtually all of his competitors in the dust. Nice choice, Academy! This was another no-brainer. McDormand won virtually everything all season long, and, again, there was no reason to believe that this would change on Oscar night, even if she did have serious though largely unrecognized competition from Margot Robbie in “I, Tonya” and Sally Hawkins in “The Shape of Water.” Nevertheless, it’s another deserving award for another deserving performance. Yet another no-brainer. Rockwell won virtually everything all season long, and, again, there was no reason to believe that this would change on Oscar night, even though this category fielded considerable (though unrecognized) competition from all of its very deserving nominees (Willem Dafoe, “The Florida Project”; Woody Harrelson, “Three Billboards Outside Ebbing, Missouri”; Richard Jenkins, “The Shape of Water”; Christopher Plummer, “All the Money in the World”). It was good to see a deserving nominee finally receive the recognition he deserves. Perhaps the biggest no-brainer of all, Janney has been on fire all awards season long, taking home an Oscar for one of the best supporting actress performances in years. This was a very deserving win for a tailor-made role for an actress who has gone unrecognized for far too long. As in the supporting actor category, Janney had formidable (though unrecognized) competition from all of her fellow nominees (Mary J. Blige, “Mudbound”; Lesley Manville, “Phantom Thread”; Laurie Metcalf, “Lady Bird”; Octavia Spencer, “The Shape of Water”), but the right actress won – and deservedly so. Rounding out the field of no-brainers, del Toro’s win for best director was easy to see coming, having taken top honors in virtually every contest up to Oscar night. The makeup of this category was indeed interesting, including a mix of veterans and newcomers, but the right candidate came out on top, while giving the veterans just recognition and the newcomers a down payment toward future consideration. Congratulations to the winner!